Much of the focus on the Rolling Stones’ “50 & Counting” tour has zeroed in on tickets selling for prices north of $500 - and pit access for double that. 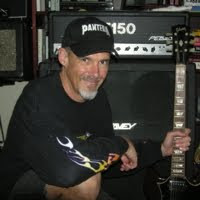 What gets ignored ticket-wise is something that serious Stones fans have been well aware of: it’s been fairly easy to obtain $67.00 tickets (add $18 for the ticket vendor “convenience” and “processing” fees) through links on the band’s web site. And they’re not just rafter seats, as a percentage of them are lower level and pit tickets, randomly distributed when picked up at the venue. In fact, it’s probably not too late to land tickets at this price for the final three United States gigs tomorrow night and Friday night in Philadelphia, and a week from tonight in Washington D.C. But the ticket “controversy” is a distraction from some simple truths. In the 50 years that rock and roll bands have been in existence, two are recognized as the foundation of everything that came after: The Beatles and the Rolling Stones. One of those two played their last show more than four decades ago; the other plays Philadelphia tomorrow night. Maybe because they have worked so hard since 2000 it’s difficult to put their legacy into the proper perspective. Tour after tour, playing clubs, theaters, stadiums, recording albums, putting out films - they’ve been around and so visible that it’s easy to take them for granted. If the next three shows are not the final Stones American shows, there will not be many more down the line. A cross-country major slog of a tour? Those days are definitely gone. If they come back at all, expect a short itinerary at an easy pace, much like this current journey. But that return visit is a colossal “if” at this point. 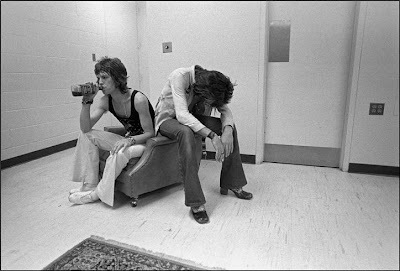 Mick and Keith: proper conditioning for dangerous times ahead. Said Keith, "Mick is my wife, but we can't get divorced." ‘Til death do us part. Sure, this tour has had the occasional dubious moment. Mick Jagger seems to have an obsession with appearing current, which accounts for tour guests that have included Katie Perry and Taylor Swift. And not every note played in a two-hour-plus set is going pack a sonic wallop. But with guitarist Mick Taylor providing a link to the days of exile, and Keith Richards and Ronnie Wood weaving their guitars into a characteristic propulsive surge, this is still a band that can conjure up a vital sound that is uniquely theirs. 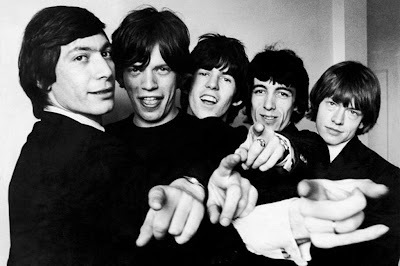 So, rather than dwelling on the business aspects of tour grosses and number crunching, let’s put the Rolling Stones in the perspective of their musical legacy. Give ‘em their respect. They’ve earned it the hard way.